If you are considering starting Nutrisystem, you probably have some questions. For one, you’ll need to know about the first week, called “Fresh Start®.” It’s the initial fast-weight loss phase that breaks bad habits and prepares your body for months of sustainable weight loss. But, how exactly does FreshStart work? Here’s a helpful video from Nutrisystem that shows you how FreshStart works, and what you get in your first shipment. *Use a promo code for a double-discount! Congratulations on taking the first step towards a fresh start on your health! The arrival of your first Nutrisystem box is exciting and it can also be a little overwhelming there is a lot of food in the Fresh Start box. We’re going to walk you through exactly what’s in the Fresh Start box to make your experience with Nutrisystem and their Fresh Start program as simple as possible. How Does the First Week of Fresh Start Work? Pretty much everything you need to be successful on the first month of the program will arrive with your fresh star order when you open it you’re going to see a Fresh Start Week 1 box which is full of everything you need to jumpstart your weight loss on the first week of the program, and a lot of additional food items that you will be using for the rest of the month. All of these items can be safely stored in your cabinets. If you ordered any frozen entrees, you will receive them in a separate shipment. They will be marked “frozen.” They will need to be stored in your freezer. The Fresh Start week one box is your key to success for the first week of the program. It contains foods that were specially selected to help you achieve fast results. For this week, you will be combining fresh, non starchy vegetables with the food items we have pre-selected for you, and placed in this box. *Is the Nutrisystem coupon for 3 free weeks legit? Each day you’re going to enjoy: one breakfast entree, one lunch entree, and one dinner entree, and combine it with fresh vegetables to make a satisfying delicious and nutritious meal. For example, if you have Nutrisystem’s delicious Italian herb flatbread pizza for dinner, you can top that with fresh mushrooms, tomatoes, spinach, or any veggie of your choice for a fiber-packed meal. Or, enjoy the chicken alfredo with some broccoli tossed in. The possibilities of non-starchy vegetables are endless. Think: leafy greens, tomatoes and cucumbers. Adding them to your food will help keep you feeling full, longer, and give your body the nutrition it needs. If you aren’t sure what a non-starchy vegetable is, or how to prepare them, check out Nutrisystem’s blog, The leaf. It has a grocery guide, a full list of non-starchy vegetables, along with recipes on how to prepare them. *How much does Nutrisystem cost w/ groceries? During your first week of Fresh Start, you’ll enjoy 2 snacks a day. The first will be Nutrisystem’s fresh start probiotic shake, and the other can be chosen from a variety of Nutrisystem snack items in your Fresh Start box. It’s also important that you drink at least 64 ounces of water a day it may speed up your weight loss, help rid your body of toxins, and keep you hydrated. 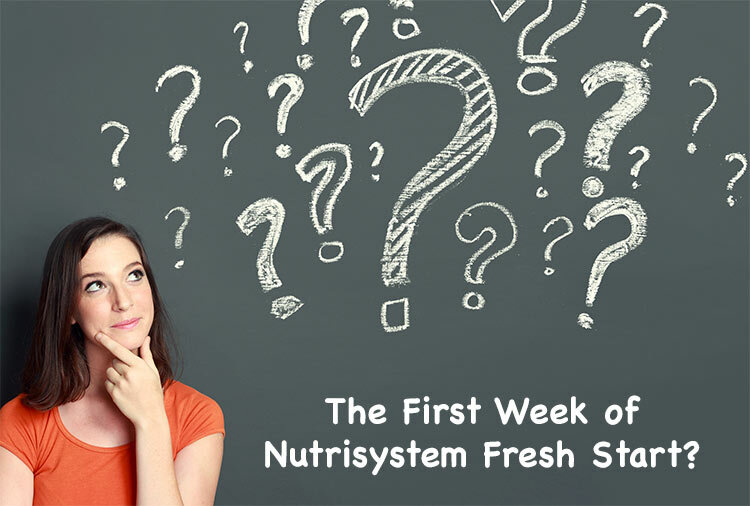 Nutrisystem has also included your fresh start week 1 tracker, which is where you will keep track of everything you eat and get helpful guidance for getting started. This tracker has a list of non-starchy vegetables, breaks down your meal plan, and helps you keep on track with your first week of weight loss. You can also keep track of your food water intake, weight, and activity level, with Nutrisystem’s Numi app. It’s free and available in the App Store and on Google Play. After your first week is finished, you’ll move on to the three remaining weeks on your Fresh Start meal plan. Just like in your first week, you will continue to eat a Nutrisystem breakfast, lunch, dinner, and snacks. You will continue to add in a minimum of four servings of vegetables and drink at least 64 ounces of water every day. You will also get another daily tracker and Quick Start guide. So, you’re probably wondering what’s the difference between your first week and the rest of the program? To start, you now get an extra snack. In the first week you had your three meals and two snacks. Now, you get three meals and three snacks each day. Women will choose one snack from the Nutrisystem foods, and prepare two on your own, with their guidance of course. Men will choose two Nutrisystem snacks and prepare one on their own. Your favorite fruit, a portion of nuts, or string cheese are just some examples of snacks you can enjoy. 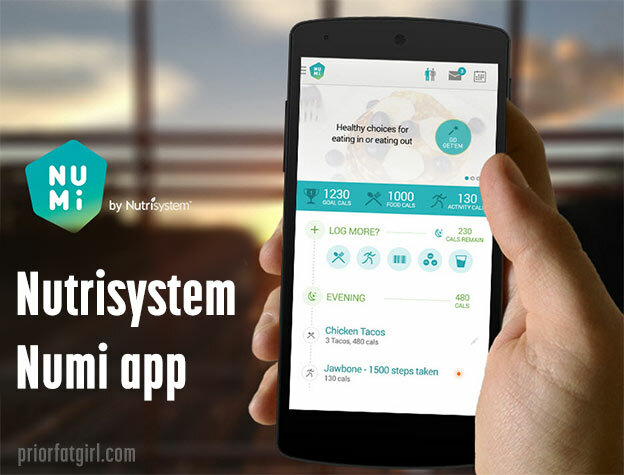 Nutrisystem’s daily tracker in their Numi app will tell you how to select your snacks. and of course you can always refer to our blog at the leaf for ideas and suggestions including a full grocery guide. Also, you will now be given an added flexibility to your meal plan which sets you up for a healthier lifestyle long-term by adding in flex meals. A flex meal is a meal that you will cook on your own or order at your favorite restaurant with our guidance. It will give you the skills you need to remain successful after you finish the program. You can find out exactly what should be included in your flex meals in your QuickStart guide we also have information about flex meals and hundreds of flex meal recipes on our weight loss blog the leaf. Just avoid eating all your flex meals in one day. Spread them out throughout the week for best balance. Getting healthier never tasted so great! These Fresh Start foods will show up at your house every few weeks, so be on the lookout for them, and store the food appropriately. Be sure to visit their weight loss blog, The Leaf, for more information about the program, plus weight loss tips and hundreds of healthy recipes that fit with your plan. 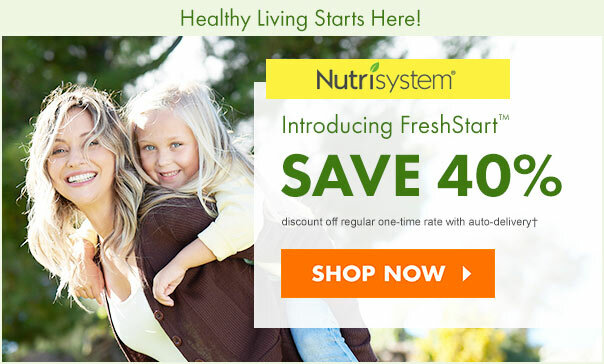 Did we mention that not all Nutrisystem promotions are created equal? In fact, the monthly price may unexpectedly go up after the first month or two with some of the promotions. That’s why the 40% off promotion is best.